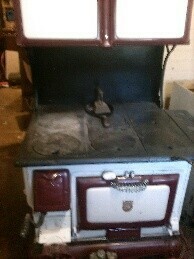 This is an antique stove in good condition, a rare find. If you need more information or would like to come take a look at the stove, please give me a call at 970-443-1108. Local Buyers. Cash on pick-up.